Private property developer Northern Star Gaming & Resorts Inc. (Northern Star) and government-owned Cagayan Economic Zone Authority (CEZA) are pooling their resources to build Crypto Valley of Asia (CVA), a planned development estate designed to push economic growth further in Northern Luzon. 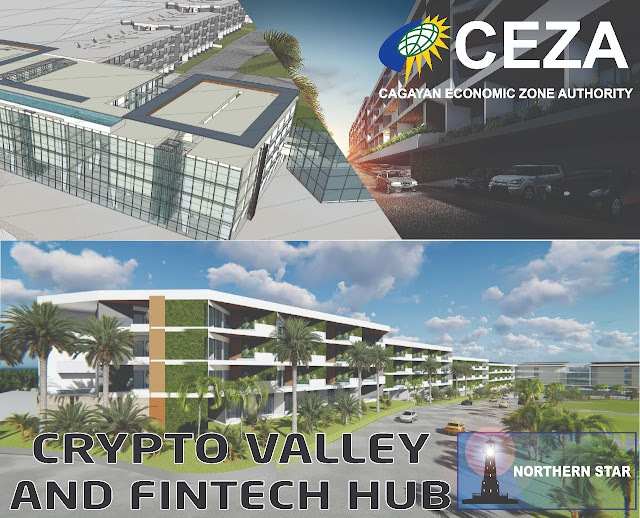 Crypto Valley of Asia will be home to a new wave of financial technology companies establishing their operations in the Cagayan Special Economic Zone and Freeport. CVA will help foster a thriving eco-system of networked fintech firms. 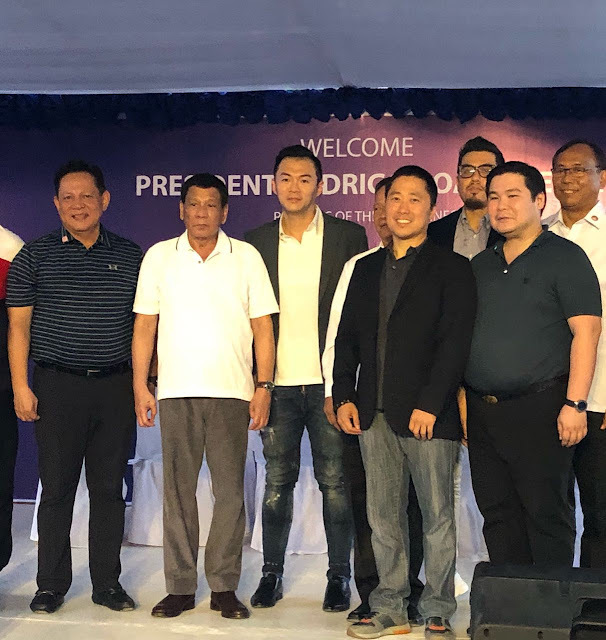 It will also generate employment for BPOs servicing the global fintech and crypto currency sectors and catalyze the next economic boom destined to spread from Cagayan Valley to the rest of Northern Luzon. Built with the Sierra Madre Mountain Range as a backdrop, Phase 1 of CVA consists of a 25-shop housing development inside the cyberpark developed in compliance with the strict security requirements of licensed OVE's locating in CEZA. It will showcase services and amenities such as co-working and living spaces, business incubation and acceleration hubs as well as back offices of overseas virtual exchanges (OVEs) and service providers to the global crypto space. Amongst the many locators and services include: co-working space such as Common Ground of Malaysia; state-of-the-art cyber security and risk assessment by Horangi (Singapore) and Blackpanda (Philippines). Blockchain Academy, in collaboration with Hanwha of Korea, will also be among the premier locators. The academy is the realization of the MOU signed during President Duterte's state visit to Korea last June. Northern Star has secured international and regional companies to locate within the CVA estate, which will be rolled out in three (3) phases. It has also committed gross investments valued at US$100m over the next 10 years. Northern Star investors and directors include: Enrique Gonzalez, CEO of IP Ventures, Director of Arthaland Corp, and partner of SB Kaikaku Fund (Softbank); JJ Atencio, Chairman of Janarius Holdings and Ampersand (formerly PCCI); Juan M. Borra III, Director of Tranzen, Menlo Renewable Energy Corporation (MENR), and Agus 3 Hydro Power Corp; and Jack Ser, Founder of FundYourselfNow, a leading crypto currency platform in SE Asia. The alliance of these captains of industry showcase a group of businessmen with successful track record in real estate development, blockchain technology/cryptocurrency, energy and telecommunications make it possible to build the Crypto Valley of Asia. Soon to also rise in Crypto Valley are a world-class internet data center, crypto mining firms, self-contained power production facilities, and a state-of-the-art cyber security and risk assessment facility. A major anchor enterprise is the Blockchain Academy, a partnership project with Hanwha of Korea in line with the MOU signed during President Duterte's state visit to Korea this year. Northern Star Gaming & Resorts Inc. (Northern Star) is an early investor in the Cagayan Special Economic Zone and Freeport (CSEZFP). It is a real estate developer focused on CEZA and Northern Luzon. It is the landlord of the largest casino resort complex in the zone and owns land bank holdings that include the Cyberpark of CEZA. The Cagayan Economic Zone Authority (CEZA) is a government-owned and controlled corporation (GOCC) tasked to develop, promote, manage and operate the Cagayan Special Economic Zone and Freeport (CSEZFP) as a viable transshipment hub with a modern seaport and airport and ample surrounding land area for industrial, commercial and tourism development. CSEZP is an international gateway with diverse sustainable industries and dynamic economic activities in Asia Pacific, which stimulate local development and inclusive growth in Northern Philippines and neighboring provinces.